Low Voltage Arc Flash hazards pose one of the greatest risks on a distribution network. The hazard is site specific, hard to assess and is highly sensitive to system impedance, transformer design and protection. As you move downstream fault levels tend to reduce but clearing times and the associated hazard levels can counterintuitively increase. It is therefore important to go beyond the infinite bus and to include actual fuse characteristics and real system data within the assessments. 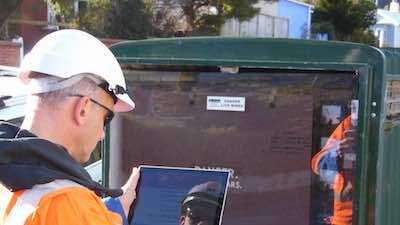 The site specific variability of the hazard and the need to measure, control and mitigate it, has led to the development and distribution of the Arc Flash Estimator tool to field staff and designers. 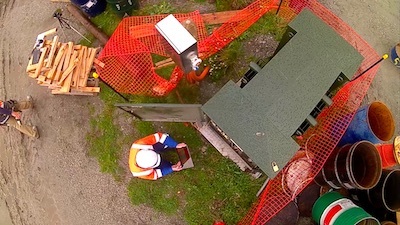 Expeditious on site assessments of the hazard levels at or downstream from any transformer on the Network are now possible along with the ability to appropriately adjust fusing. This paper uses examples to demonstrate how an open and democratised approach to the assessment of LV arc flash hazards has driven change and how it has led to the first full distribution protection review since 1986.